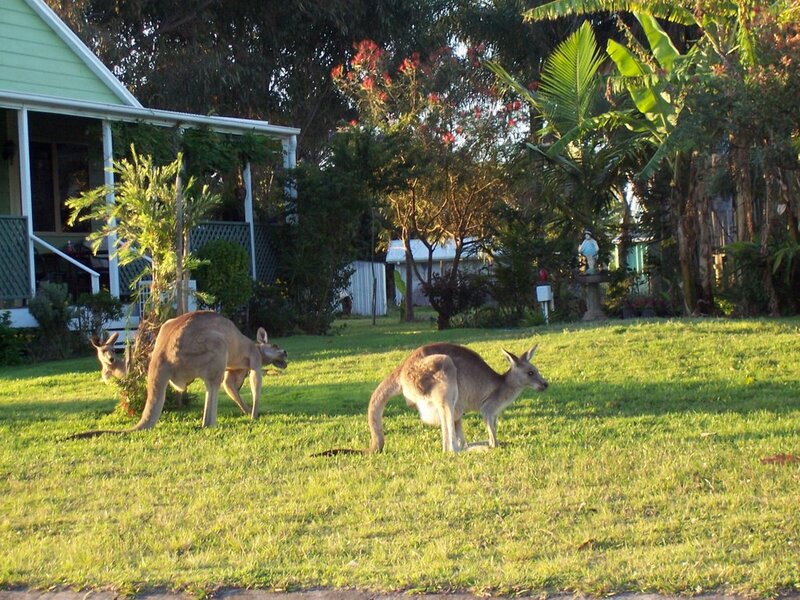 Grandma's Knitting Place: More Kangaroos! Here goes: Wow!!!! 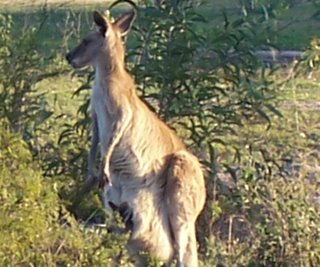 it worked - this is a kangaroo peacefully grazing on the foreshore at Toorbul - not even bothered that I was only a few feet away! 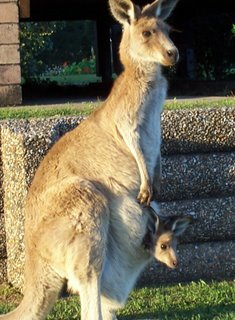 This mother and joey are really posing for me - right on the front footpath, in someone's front garden!! 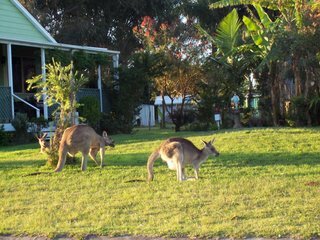 This little family are happily grazing in a garden. They are not worried that I am taking photos. 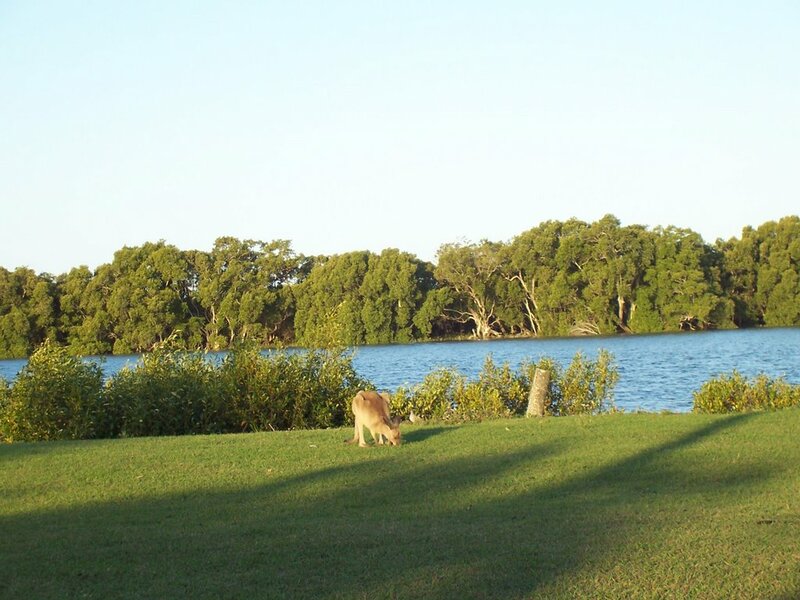 Further back from the shore is a bushy area, with mangroves, and this mom and her joey posed beautifully for us!! It is hard to believe that we are only a short distance away from a big highway and a bustling city!! This is such a peaceful place, we often come here, sit and relax, have a swim, do some fishing. I bring my knitting of course, and sit under the shady trees and listen to the birds! 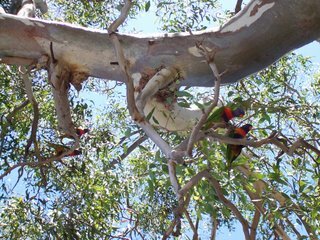 This is the last time we were there - look at the rainbow lorikeets that were above us, nesting! 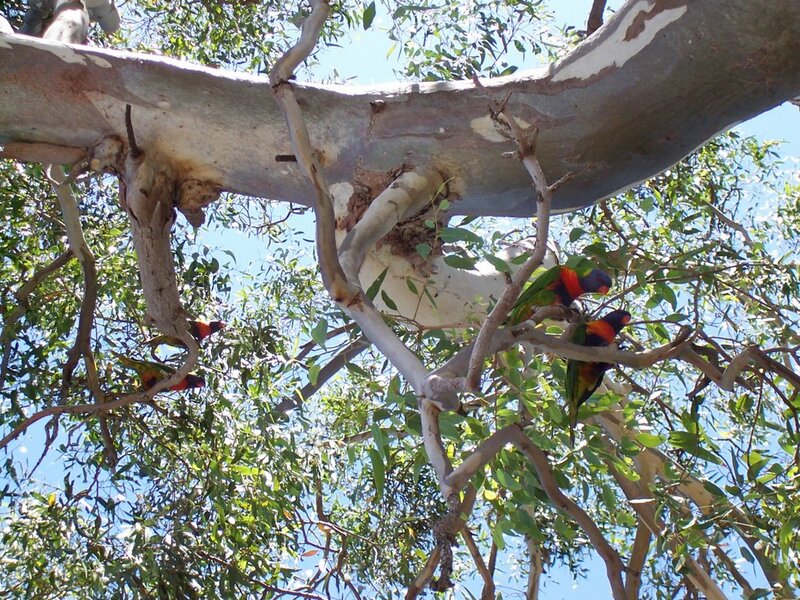 They love the gum trees - when the old branches break off they leave big spouts or holes in which the lorikeets, cockatoos and galahs build their nests. The small white branch you see right behind the two lorikeets is open at the end, forming a "spout" ; this is their nest and we could see the baby's head poking out - could not get a decent pic of it though!